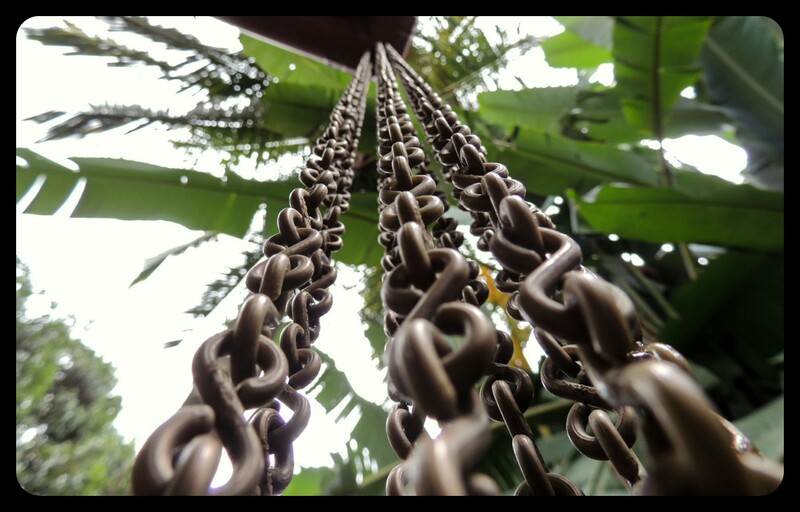 There comes a time when you need your energy level replenished, mind cleared, new ideas etc. Sometimes Independence can just be the freedom from pollution, traffic and the daily life ; that’s exactly what this trip was about. 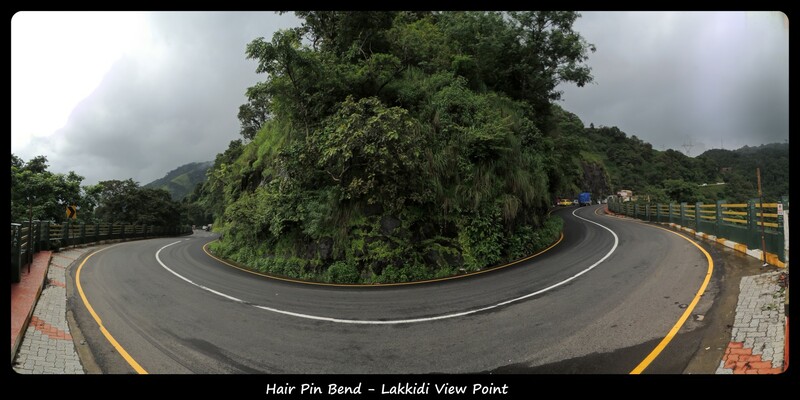 Invisible speed breakers; ride through tar, mud, rocky patches, jungle & ghats; stroll with the leaches, trek to the heart shaped lake, life of the breathless fire, the talk, the tingling taste buds, and a yet another card holding the proof of life. 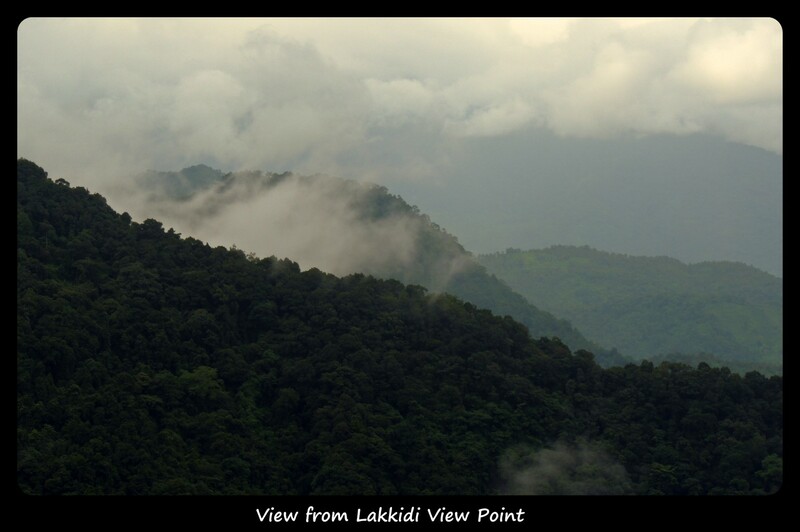 Weather was just perfect when we reached the top; cloudy, misty topped with cold breeze. 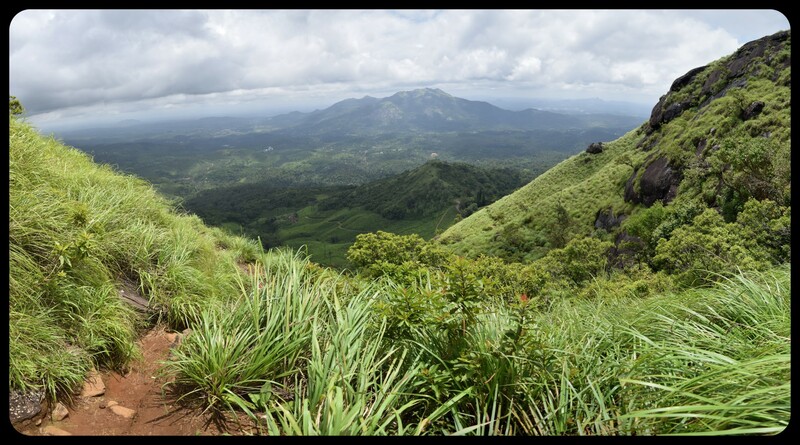 We decided not to spend too much time at the top as the return off-roading journey will turn insane once it starts raining. 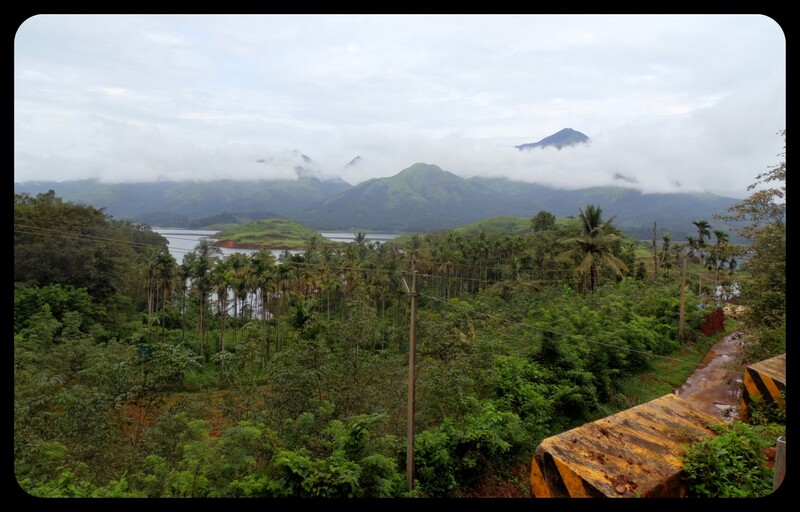 Weather was acting absolutely deceitfully once we entered Kerala border; moment of shower, sunny, cloudiness just kept their NPr going. 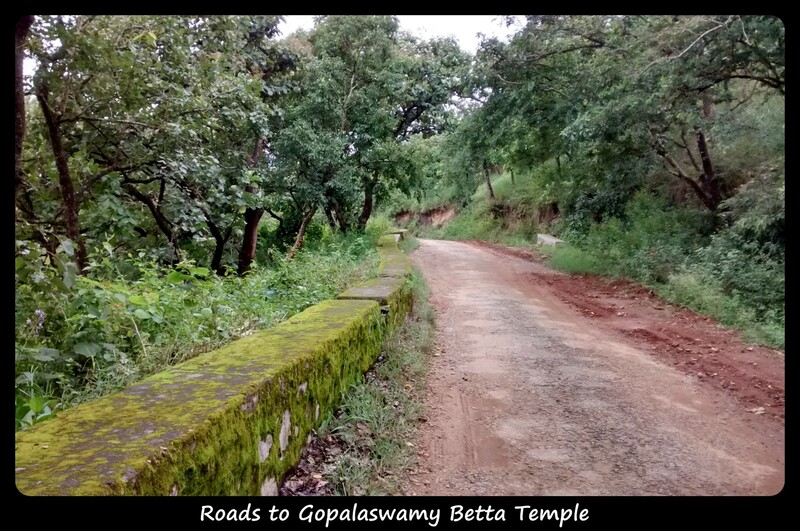 A fun filled long ride lead us to our homestay by 1230 hrs; with a small detour through Gopalswamy Betta. 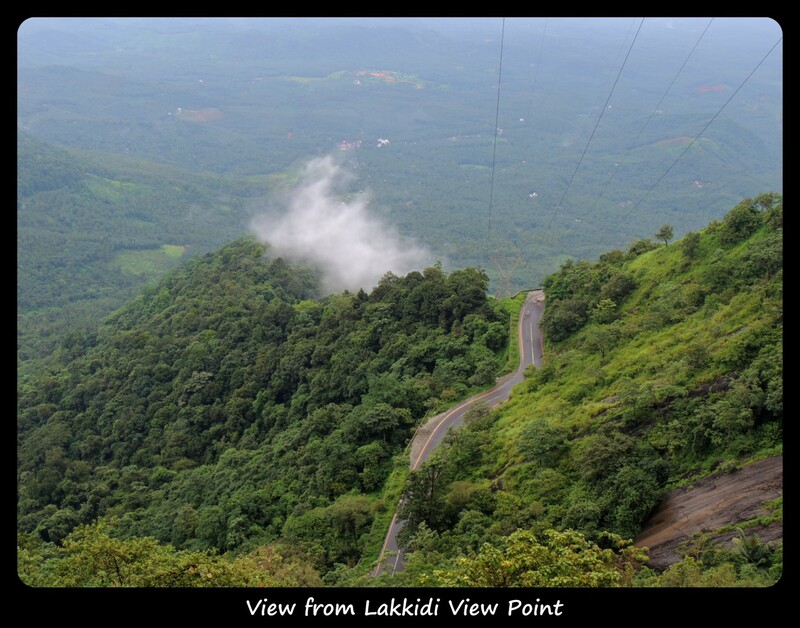 Got fresh and headed towards the Lakkidi View point followed by a visit to Pookode Lake. 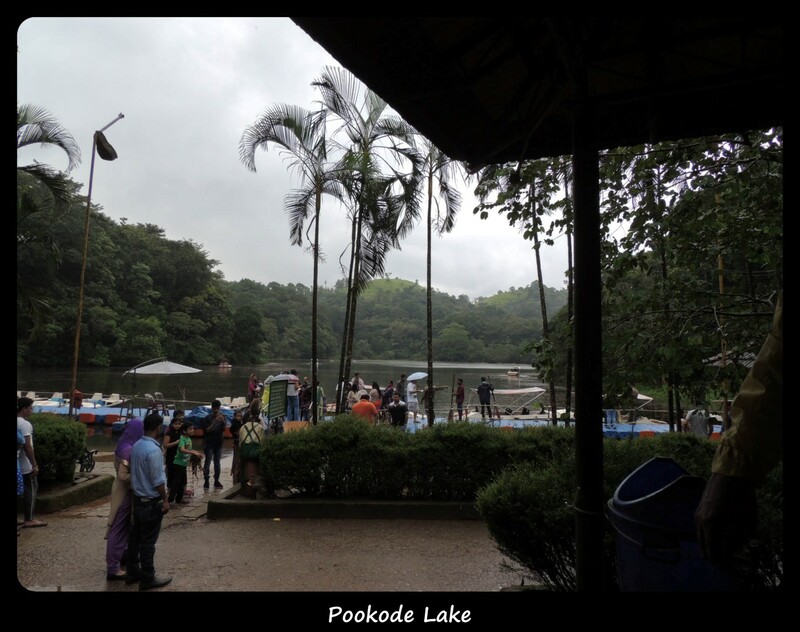 Spent some 30 mins at the view point, walked around, with a few digital & biological memories we left for Pookode Lake. It started raining by this time, we were still having a time of our life. Decided to skip boating and instead we took a stroll around the lake. 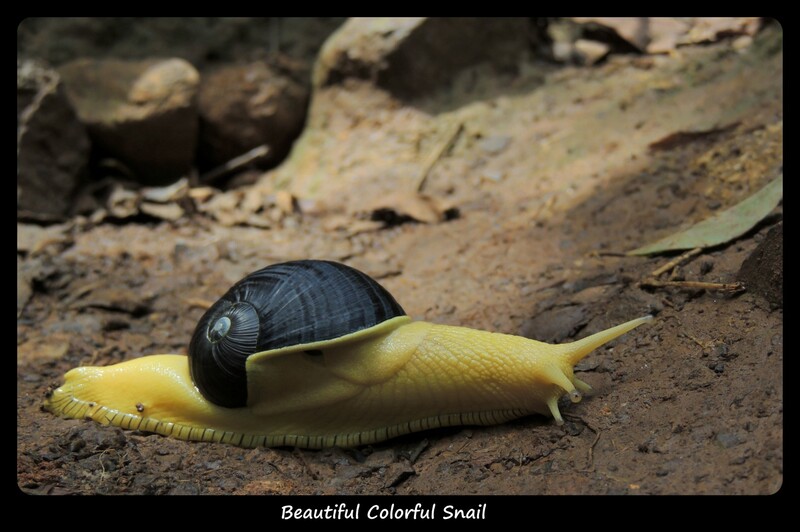 At some points this turned a bit scary – weird voices, drizzling, overflown lake flooded pathways, slippery & unstable rocky terrain with flying frogs, colorful snails, and of course leaches. 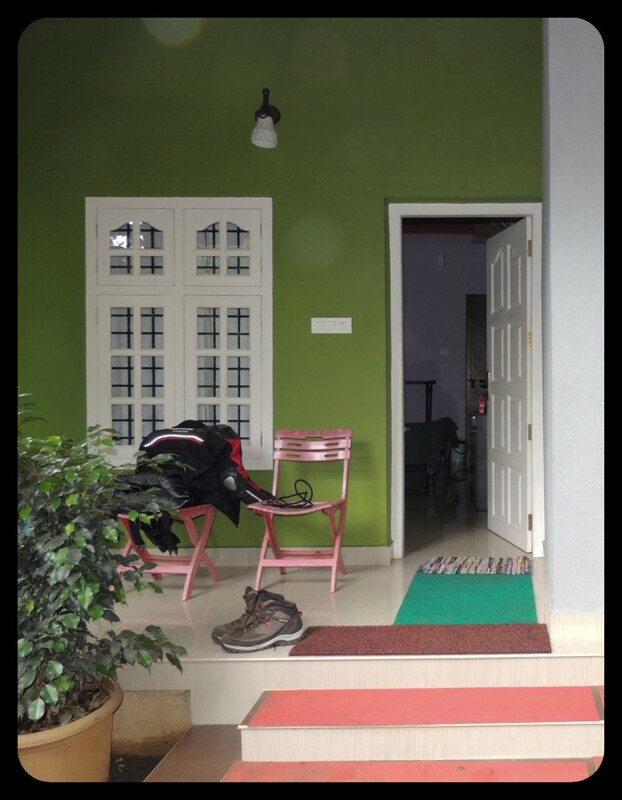 The next day hits-off with an incredible breakfast – Appam and Moong Dal Curry @homestay. 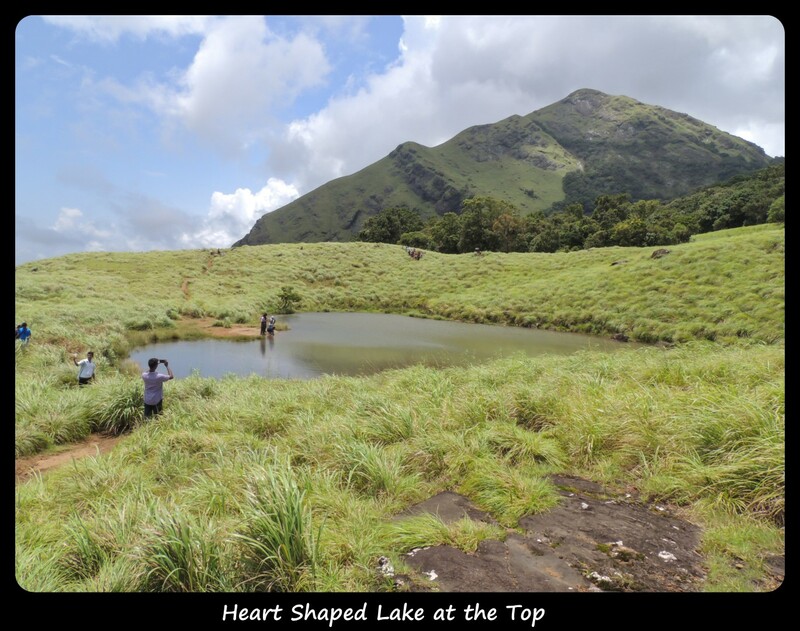 Phase one of day 2 plan was to trek Chembra Peak till the heart shaped lake. 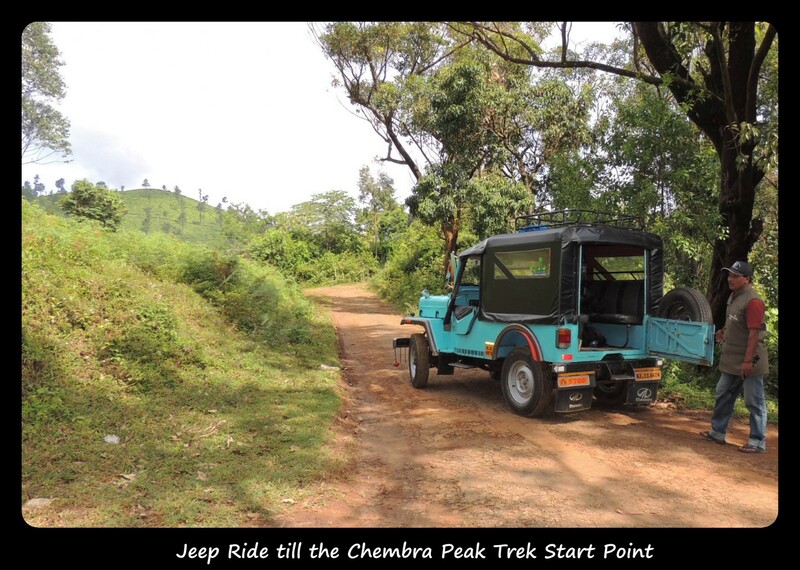 Parked our vehicles, paid the trekking charges, booked a jeep and we were off. 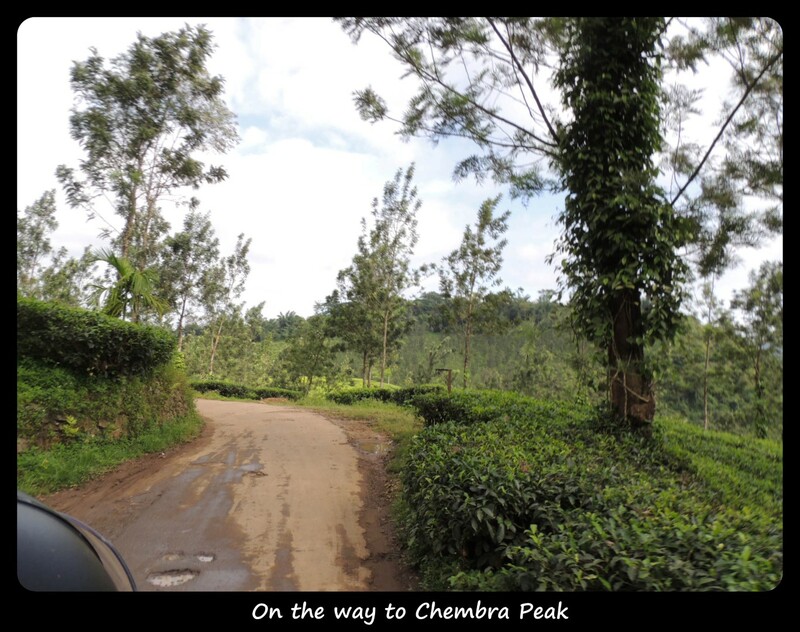 The jeep ride till the start of trek point was amazing, so were the view of the tea gardens. Loads of people opted for the anti-leech socks, some just replaced them with polythene covers in the jugaad style, we just tucked the bottom of the pant inside the socks (I must say it was definitely effective). 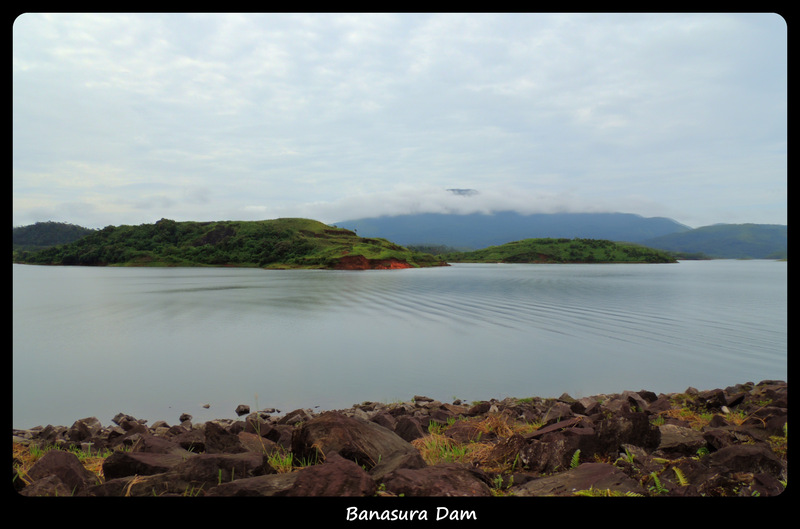 As usual “camera waale” were a bit slow, with loads of photo-shoots & breaks we finally arrived at the heart shaped lake. By the time we reached the top the weather starting acting weird again. We started descending as fast as possible, midway the weather turned sunny; adding to the trouble the terrain turned slippery. 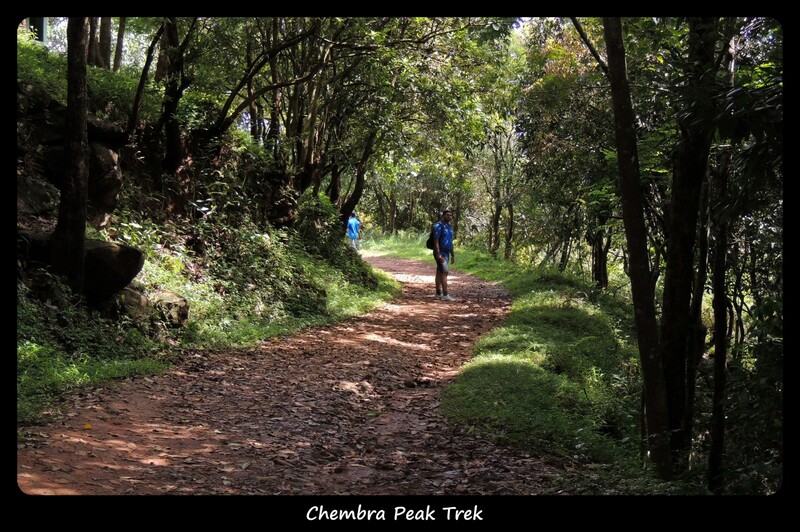 Somehow we reached the trek start point, where we were supposed to wait for the jeep pickup. We chose to walk to the bridge till the jeep arrives. Headed to homestay, got fresh and went for a walk in the city. Had an awesome local cuisine for dinner. In the meanwhile bonfire was setup by the homestay owner. The next day I woke up at 0430 hrs, finished processing all the photos I had captured, sat out on the porch while listening to music with camera in one hand. Had Idiyappam with Chana dal curry for breakfast. 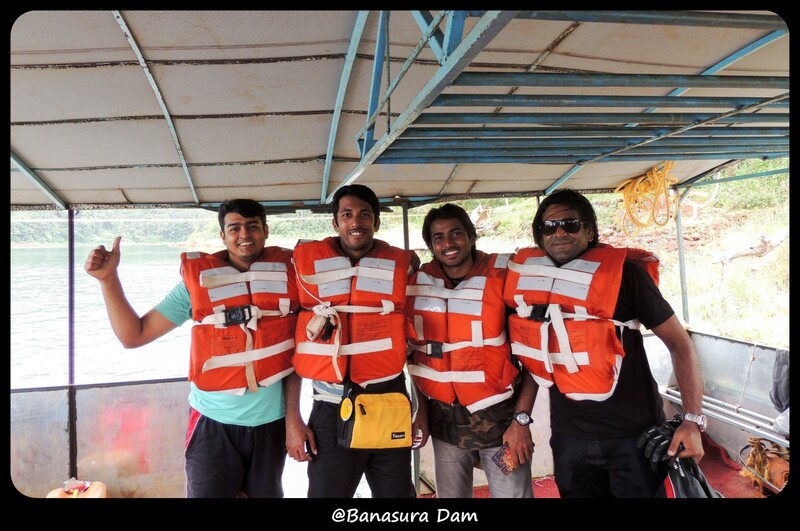 Boat ride at Banasura Dam in Wayanad was fun, charged us Rs. 750 (5 person) for some 15 mins. 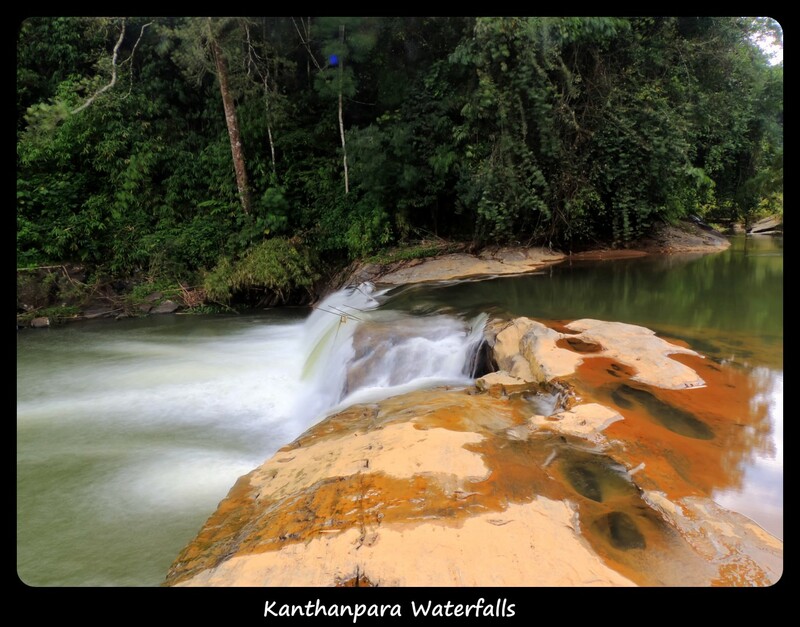 Water was very clear – with a bluish tint everywhere. 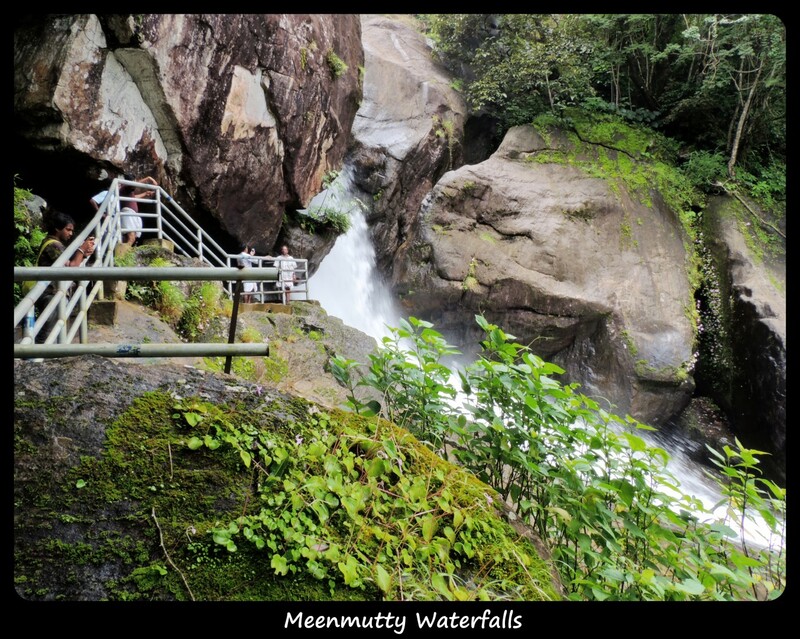 To our surprise Meenmutty Waterfalls was open to public, and was just 2.5 kms from Banasura Dam. 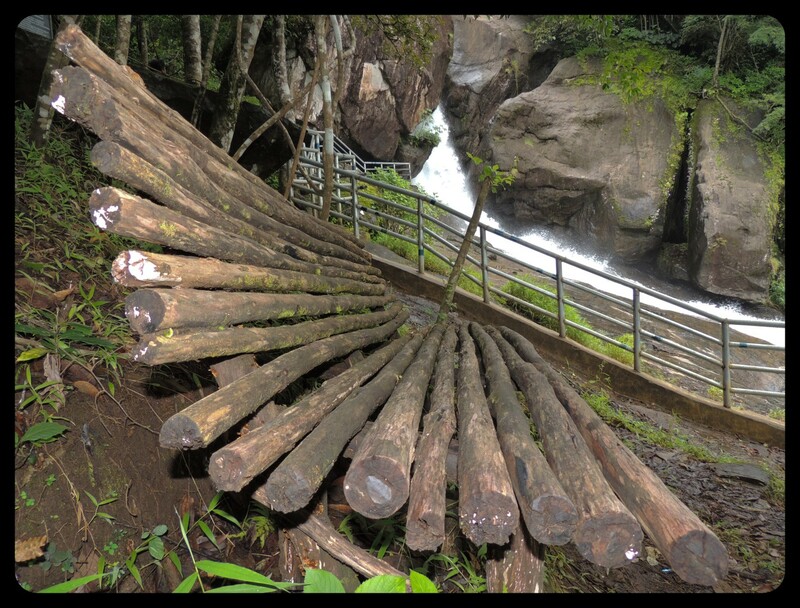 There are two routes, one goes to the top to the start of the falls and the second goes to the bottom where once can take a dip. 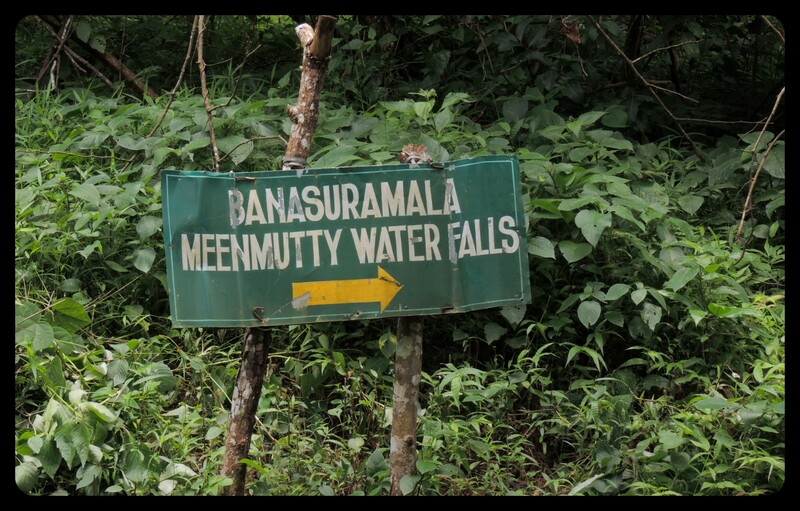 Wayanad is blesses with many waterfalls, some being too dangerous to reach have already been closed (banned), some closed for the season, some are blesses with Entry – timings. So in short one would be on a real tight schedule if looking to cover them all. 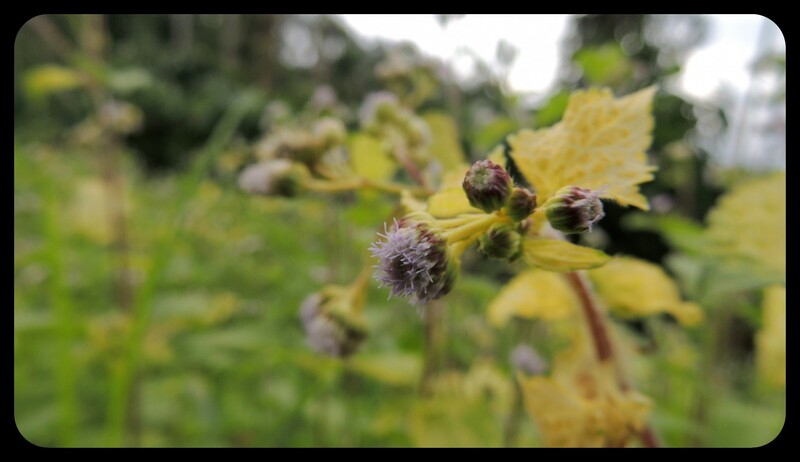 We headed back to homestay to freshen-up, pack up and leave for Bengaluru. 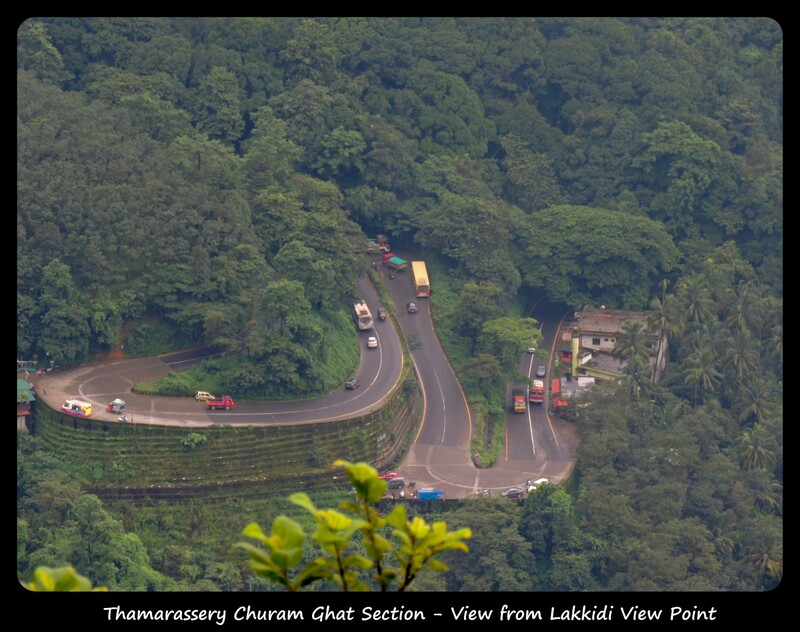 The return journey till Mysore was fun, drizzled throughout. Once we reached Mysore it started raining heavily, roads were all flooded. I got separated from the group after the dinner, kept riding non stop most of the time. Rain almost stopped once I crossed Kangeri and to my surprise it looked as if it just drizzled in Bengaluru this whole time. It was 0030 hrs by the time I reached home; completely drenched, atleast the bag and the stuff inside were completely dry. 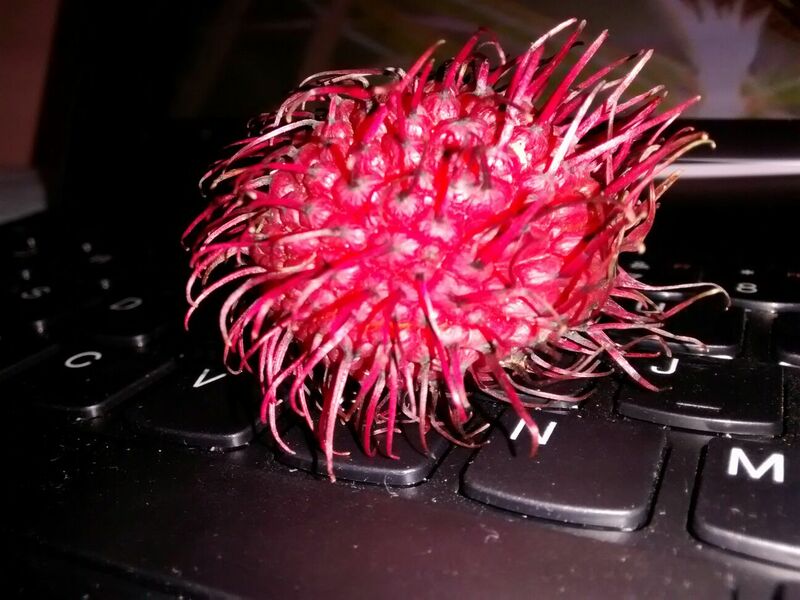 Bought Rambutan – a lesser know cousin of Lychee somewhere near the Kerala RTO check post. 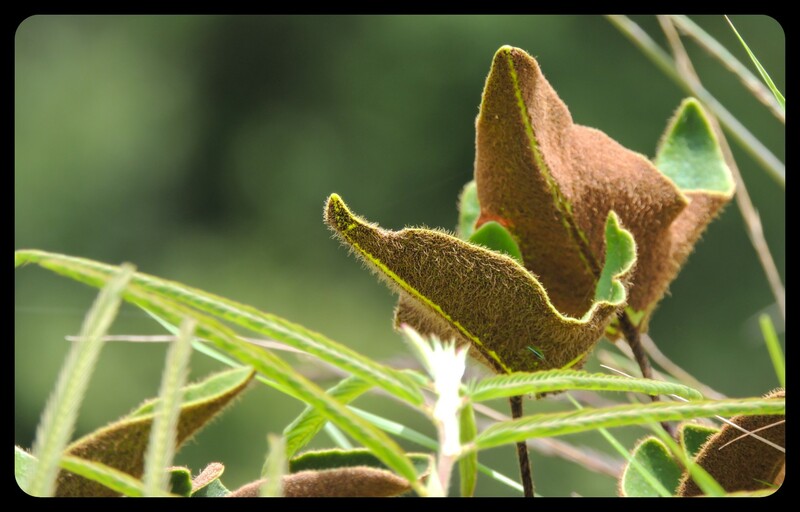 Tastes like Lychee, a bit bigger in size and more flavorful. Everyone at home loved it, wish I had brought more. Oh! forgot, I killed the bike battery some 40 km before reaching home, forgot to disconnect the charging cable from bike, got wet, shorted and TADA! – no headlights for the next 10 kms. 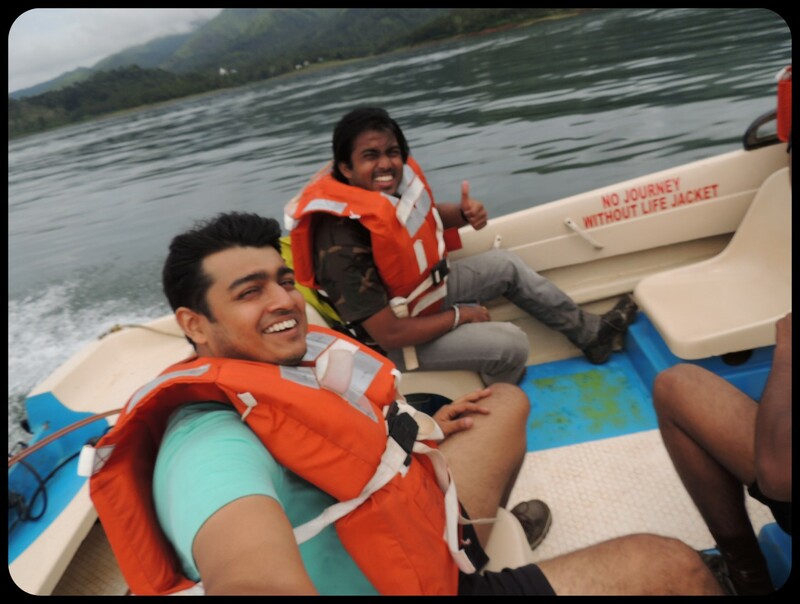 At the end, it was an insane trip, worth all the troubles we had gone through. 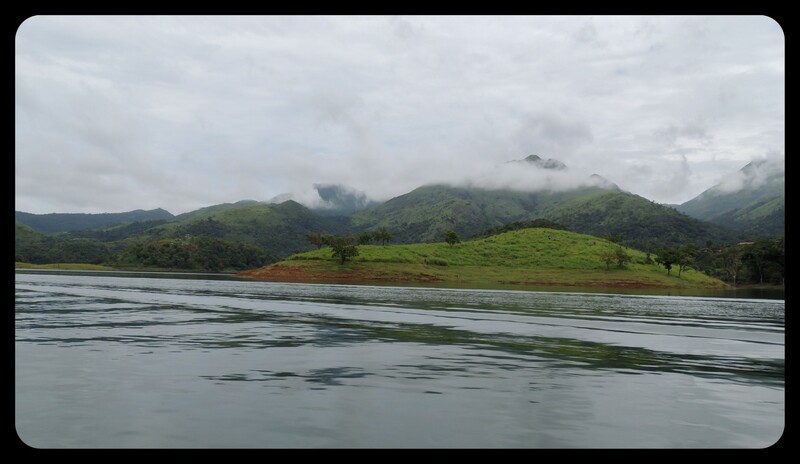 Wayanad is truly God’s Own Country. 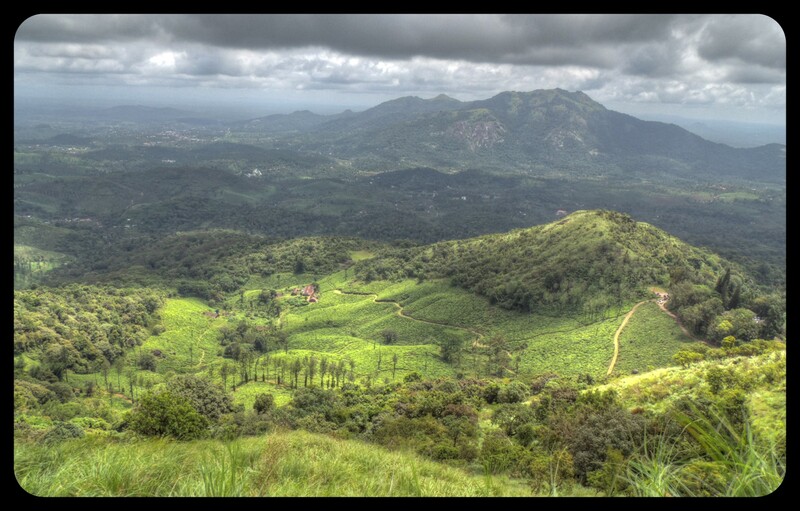 Never trusted the saying but they just don’t call Kerala ‘God’s Own Country’ for nothing. 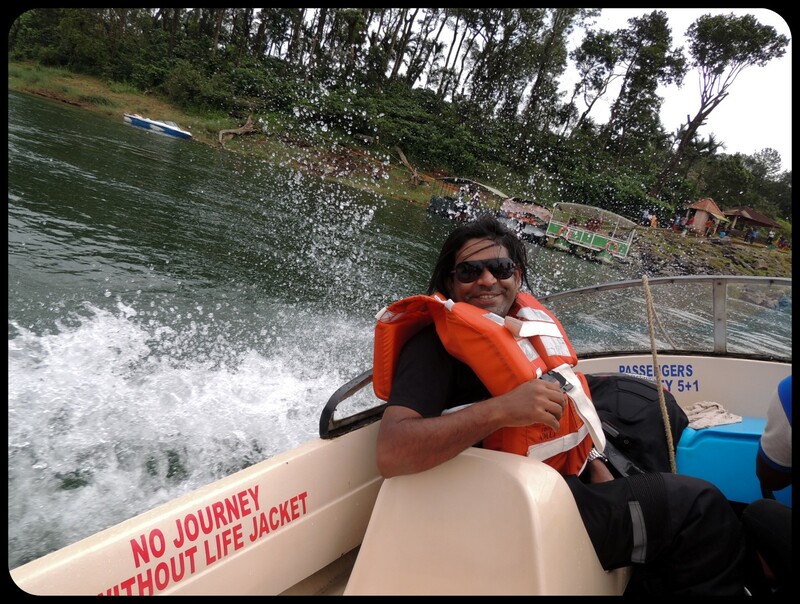 Thanks to Sreejith, had an amazing foodie experience in Wayanad (I can still feel my taste buds tingling :)). 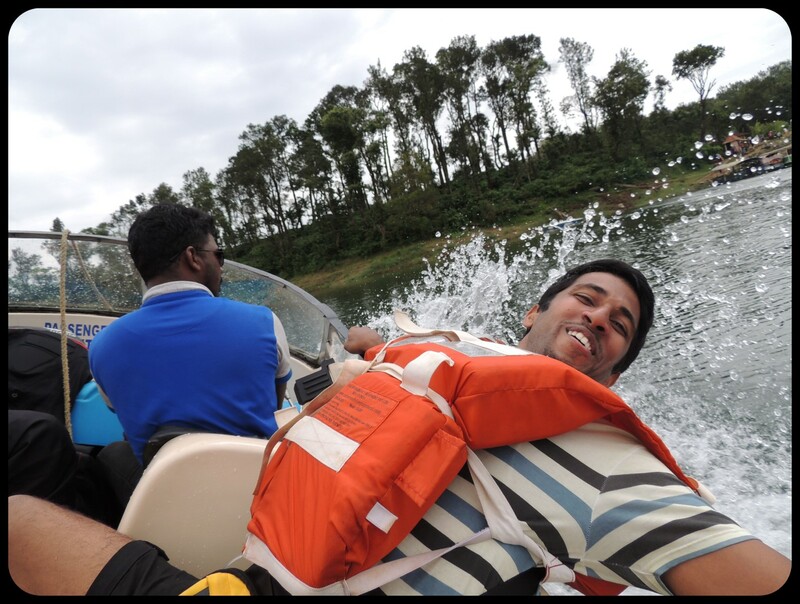 Not to forget the hospitality offered by Mr. Pramod during our stay @Summer Villa, Kalpetta. 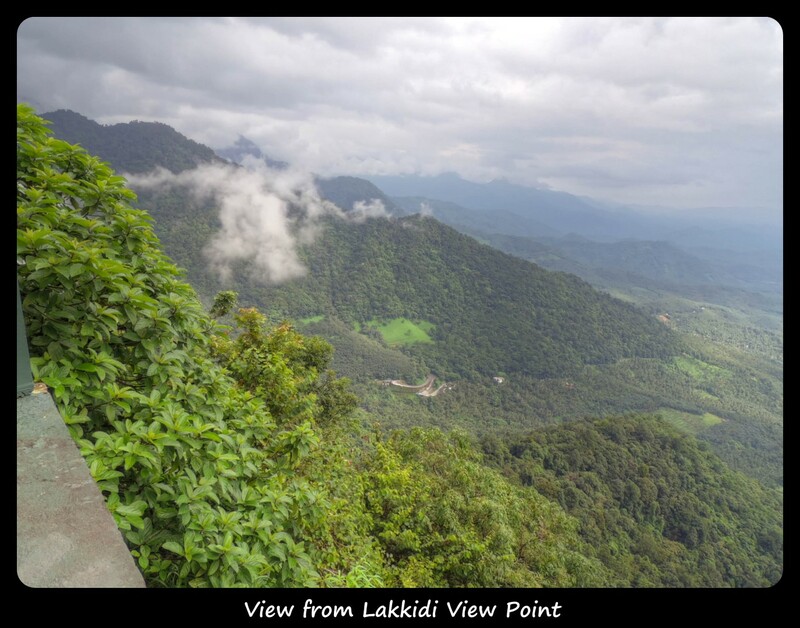 This entry was posted in Travelogue and tagged Banasura dam, Chembra Peak, Heart shaped lake, Kanthanpara waterfalls, Kerala, Lakkidi view point, Meenmutty waterfalls, Pookode lake, Thamarassery Churam, Wayanad. Bookmark the permalink.